Trading NC Items is a very fun part of NC Mall participation. We all get items that we are not so crazy about, but why should we be stuck with them? What about those retired items that you would like to get your hands on? This guide will help you turn those unwanted NC items into an item that you will love and cherish for years to come. First and foremost, you need to know how to get your hands on a gift box, for you cannot trade without them. The main way to get these mystical Gift Boxes is to redeem a Neocash Card. For every $5 increment of an NC Card, you will receive one gift box. For example, a $15 NC Card would give you 3 gift boxes. Gift boxes are not awarded for purchasing Neocash through the Mall. 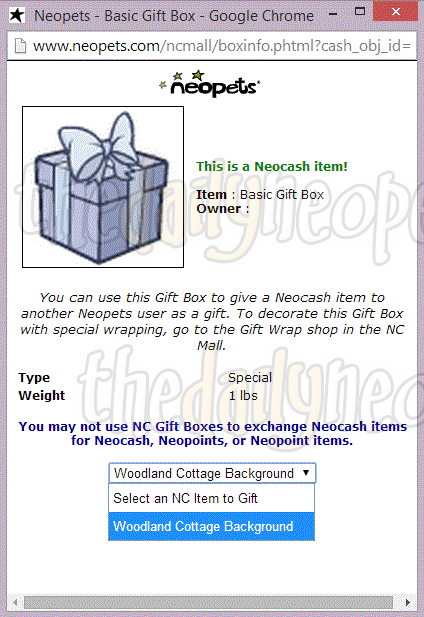 Most recently a new daily has arrived in Neopia and it has a frequent chance of giving out gift boxes. Trudy's Surprise is a daily site perk that awards Neopians for visiting the site everyday Neopoints and quite often these sought after gift boxes. Being able to obtain gift boxes so easily is great for people who purchase their NC online and can't purchase the NC cards to get the boxes. To learn more about Trudy's Surprise, visit our guide. Another popular way to get gift boxes is through opening Gift Box Mystery Capsules. These capsules can be purchased directly through the NC Mall, usually for 200NC. These capsules are filled with NC items that are worth the capsule (or more if you are lucky). Starting June 2014, Gift Box Mystery Capsules have been revamped with a new design, and you can now receive two guaranteed Basic Gift Boxes. You still have the chance to win up to 5 Gift Boxes, including the Limited Edition Gift Box. Check out our guide to read more about the Old Gift Box Mystery Capsules. These capsules are traditionally released in the Mall within the last couple weeks of the month and remain on sale until the end of the month in which they are released. Another way to receive a Gift Box is through special NC Mall events. Sometimes you can even get free Gift Boxes. These boxes are usually given out for special events. Note that you will have to claim free Gift Boxes through the NC Mall (like you would do for a Goodie Bag or any other free item from the NC mall). Some Gift Boxes will be given out with special events such as Bloomin' Neggs, Altador Cup NC Challenge, Neggstravaganza Surprise, Stocking Stufftacular and Haunted Hijink's. First of all, you want to make sure that you have a gift box in your inventory, as well as the item that you wish to trade. For example, if you want to trade a Woodland Cottage Background, your inventory should look something like this, but you'll only need one gift box per item. After clicking submit, you will either select a Neofriend from the top scroll box, or manually type in a username where it says "Type in Username". Be careful with your spelling, you don't want to send your item to the wrong person. Add a message in the bottom scroll box if you like and you're good to go. Congratulations! You have successfully sent an NC item to a friend. These are items that you can still purchase through the NC mall. Buyables tend to be worth less trading value simply because you can just go to the NC Mall and pick it up. Most people search for retired items or Limited Edition items. If you see an item in the mall with a blackstar beside its name, that means that it will soon be retiring. Some items come out of retirement but many items, such as collectors items, will never be sold after they retire. A red star indicates that an item is on sale for a lower price than it is usually sold for. An item with a blue star is from the current collectible collection. Limited Edition (LE) items are items that are usually sold in a Superpack or Mystery Capsules. The items that are featured in the Mystery Capsules are a little harder to get your hands on because you may have to open many capsules before you even get one. These items tend to be worth a bit more when trading. Retired items are those that are, well, retired. They are no longer for sale in the NC Mall. Some retired items may be re-released in mystery capsules or fortune cookies from time to time. These items are usually worth more upon trading. 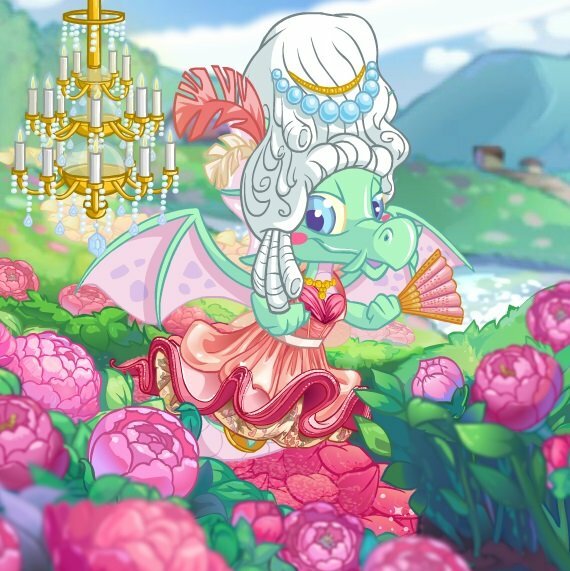 Many Neopians who are savvy in the NC trading world make a wishlist and a trading list. This is where you would list all of the items you have up for trade as well as the items you are seeking. You may also want to add how many Gift Box Capsules (GBCs) you have available, how many gift boxes you have on hand and how much NC you have available for custom requests. Wishlists and Tradelists can be created right here on TDN Customization and pasted into one of your petpages. Beware of the gift wrap that is sometimes sold in the NC mall. Gift wrap can make your gifts look extra special, but they do not serve as a gift box. Gift wrap only serves as wrapping for a plain old gift box to give your gift some extra flair. You CANNOT send a gift with gift wrap alone. Trade values are usually determined by number of GBCs the item is worth. GBCs are a common form of trading currency because it gives the person you're trading boxes so they don't have to use their own to send the items to you. It is a good idea to know the value of the items that you are trading. This could save you much unwanted heartache. There are no two ways about it, there are people out there that are going to try and scam you. If you know the value of an item, you are much less likely to get ripped off. Also, check to make sure whether the item(s) in question are still buyable in the NC mall or not. If an item is still buyable, it is not as valuable. To do so, simply type the name of the item in the search bar in the top right-hand corner of the NC mall. Note that TNT does not recognize the trade values that are accepted by the general population of Neopia. Your trade will not be reversed if you traded a rare item for a buyable item. This is why you need to know your values. As long as both participants in a trade received an item, TNT sees that as a fair trade. There are different ways to check NC trading values of an item before you trade. One way is to reference an NC value guide. These guides are created by users as an estimated "cap" value of an NC item, and are usually in agreement with majority NC traders. However, these guides aren't always up to date and sometimes shut down. You can find these guides randomly referenced around the NC Mall Board, or found by doing an internet search of, "NC trading Values". A recommended way to find out the NC trading value of your item fast, is to create a board stating, "Value check for(item name)?" on the NC Mall Neoboard. Knowledgeable NC traders will post in your board to let you know the current or estimated "cap" value for your NC item(s). It's good to wait until at least 3 or 4 people have posted in your board agreeing to the same value. This is also helpful to check an offer someone has made you for an item to make sure the offer is fair. Always remember to practice proper etiquette when trading NC items. Make sure that you send the item you promised before opening the gift that was sent to you. Also, letting the other person open their gift first is always a nice gesture. Buyable - These are items that are still available in the NC Mall. Retired - These are items that are no longer available in the NC Mall. LE - Limited edition item. These items are usually found in mystery capsules and superpacks. Re-released - These items were once retired but are once again available through the NC mall (usually through fortune cookies or mystery capsules. Custom - An item that is requested by someone that is still in the NC Mall. Requires you to purchase the item in question in order to trade for the item that you want from the other person. GBcube or Cube - Represents the new Gift Box Mystery Capsules that guarantee two Basic NC Gift boxes when opened. There is a risk factor in trading NC items. Always use caution when trading with someone you do not know. There is no way to guarantee that the person you are trading with will indeed send you the promised item. You may, however, send a ticket to TNT if you are the victim of a scam. TNT responds rather quickly to NC tickets. The person who scammed you will most likely have their account frozen. To help reduce the risks, be sure to check offers to be sure you're getting a fair trade. Also waiting to open NC items until yours has been sent is a good idea too. You may also send items to Neofriends through Fortune Cookies and Grams that are purchased from the NC Mall. Upon opening the Fortune Cookie or Gram, you will be prompted to type in the Username(s) of the person you would like to send the item to. With cookies, you won't get a choice what item will be sent, it is random. With grams, you will get to choose from a certain number of items. There are various types of NC trading sales commonly hosted by users on the NC Mall Neoboard. You will sometimes notice board titles stating, "1 GBC or Cap/Cube sale!". Users will discount Neocash items from it's original "Cap" value according to NC value guides. In most cases, NC traders are looking to trade GBCs in these sales in hopes of gaining more NC gift boxes to trade with. There are times when these sales include other types of Capsules or Neocash items you can trade with. Be sure to read the Trader's board or Tradelist instructions for what they are seeking. If nothing is listed, it's always recommended to ask the trader what they are seeking for their sale. The trader is discounting NC items for only 1 GBC cap value. "GBcube" represents the new GBCs that guarantees a user two basic NC gift boxes when opened. You may find some traders only seeking the new GBCs because of that perk. However, some traders still accept any GBC (new or old) for their trades. The number on the left side of the colon represents the number of items you can choose from the trader's specified list for this sale. The number on the right side of the colon represents the amount of GBCs the trader wants for the trade. These sales are sometimes referred to as, "NC trading games" because the amount of items you can trade for depends on how many boxes the trader gets when they open up the GBC you trade to them. Some traders guarantee a certain amount of items you can get for trading them only 1 GBC. Make sure to read trader's rules for their sales. This is only the gist of how these NC trading sales work. If you are ever unsure of what the trader is seeking for their sales, it's always best to ask the trader before you trade with them. The "2:1 GBcube/GBC sale" has become more popular. Usually traders will guarantee you 2 NC items for only 1 new GBC. 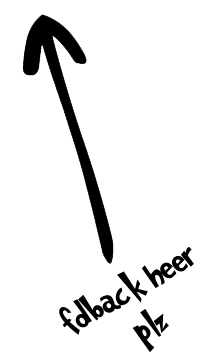 As usual, make sure you read the trader's post or TL for their instructions before you trade. The Snowager is awake. He'll be sleeping in 2 hours, 30 minutes.